There are three things without which you will never leave home: your keys, your wallet, and your phone. With these three things you are willing to deal with almost all the obstacles that may stand in your way during the day. But what if the battery runs out of your phone? Of course, you have a charger at home, but it is not with you just when you need it most. During an important business call while trying to meet up with friends after work, when taking the first steps of your daughter in the park. With SEYVR you can charge your phone anywhere when you need it. And a high-quality purse made of genuine leather for six cards and bills. 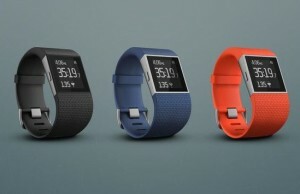 Thin, lightweight and durable! In this article I will tell you what SEYVR and how this applies to the wallet reality as a purse with a rechargeable battery. The wallet comes in a neat little box, the picture Set the color in which you have ordered an accessory. Inside, in addition to the purse, there is a short cable to charge the internal battery (full charging time – 2.5 hours when using the “charger” 1 A) and the paper guide. 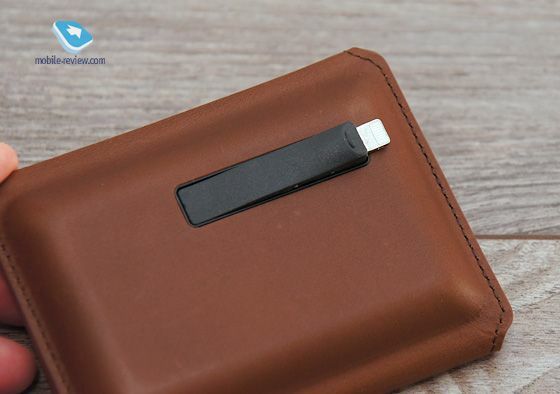 Despite the presence of built-in battery, SEYVR be called compact, the thing is that there is not the usual pockets for bills, there is only a small corner compartment (terminal), it is possible to put the bills folded, and then only slightly. By and large, the purse is designed for a couple of credit cards and business cards or notes. Manufacturing material – leather. 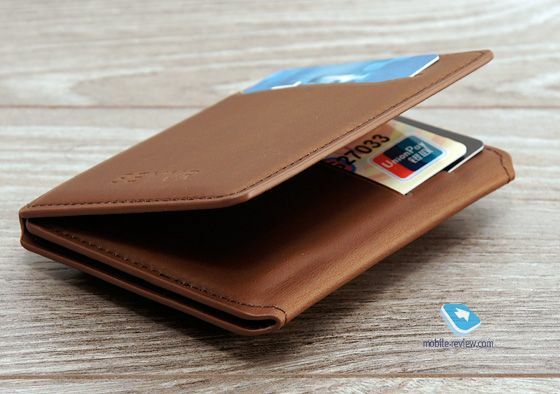 Not the soft to the touch, so it is unlikely wallet will quickly lose its appearance (which happens with purses brands like Bellroy or Piquadro, for example). There are two colors – black and brown. In my opinion, it looks nice wallet. I can not say that it is very beautiful and original, just close to the classic wallet, but smaller. 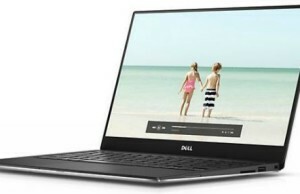 In the open state, you see three sections in the left – two compartments for cards in the right – two compartments and space for notes, in the central – the battery pack and charging smartphone, the battery itself, as well as a button with LED. SEYVR works as follows. 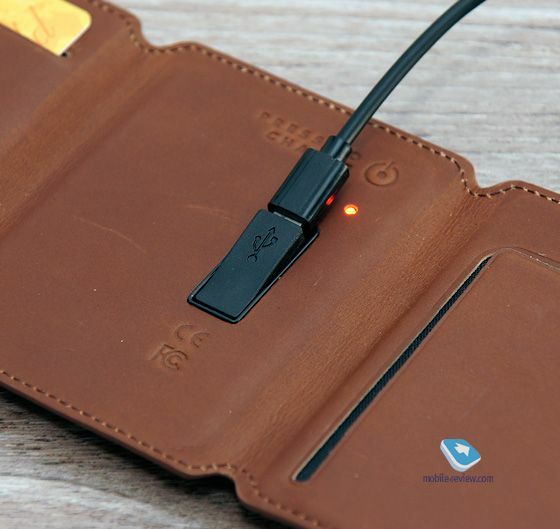 On the outer side of the central compartment wallet has a hidden outlet for charging your smartphone. This can be lightning or microUSB, depending on the chosen version of the purse. Connector with a very short cable, just a couple of inches, so it will need to charge your smartphone directly at the wallet, and this must be taken into account. To start charging the battery must first turn button on the inside of the compartment. Also located on the inner side microUSB-socket for charging of the battery from the laptop, network, or some kind of device. As they say in the company, no effect on the plastic card built-in battery does not have a wallet. In addition, most of the time it is turned off and turned on only during the immediate recharge your smartphone. By what percentage can charge your smartphone external battery 1400 mAh – an interesting question. In general, it is clear that even for the Apple iPhone 5 / 5S it will be far from a full charge, and is noticeably smaller, that is, this accessory – not a panacea, if you are actively using your mobile and constantly need to recharge it. 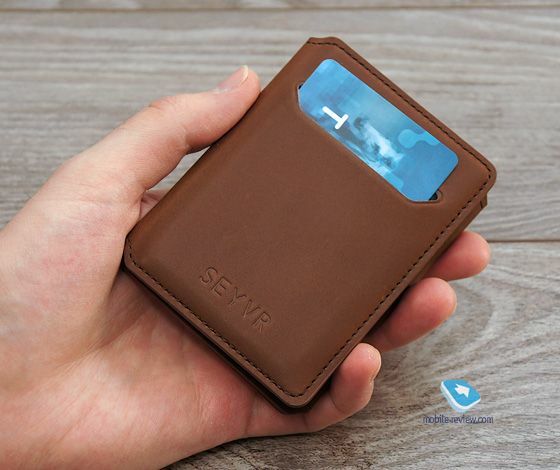 SEYVR positioned primarily as a wallet, just a bonus in the form of a battery for emergency charging shrunken smartphone. In the case of the iPhone 5 / 5S or 6 will be about half the unit charge, in the case of smartphones on Android, Markets batteries for 3000-3500 mAh – 20-30 percent, probably. The official website of seyvr.com wallet SEYVR can be ordered in 60 (for Android) or 70 (for the Apple iPhone) euros in Russia wallets sold so far (as I understand it) only in the online store and are bagandwallet.ru 4500 and 4900 rubles Android and iPhone, respectively. 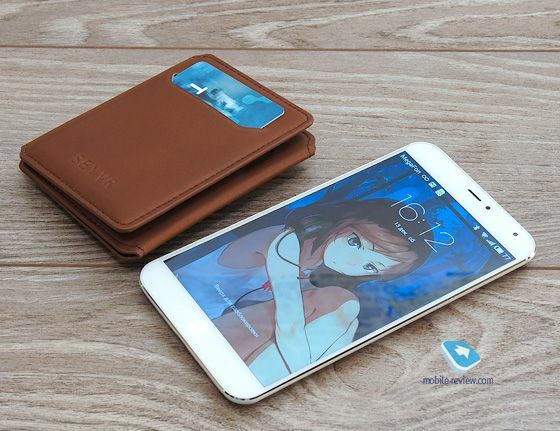 In my opinion, this is an interesting accessory, especially if you use in everyday life mainly credit cards and not to resort to paper money, and you encounter situations when you need to recharge your smartphone.